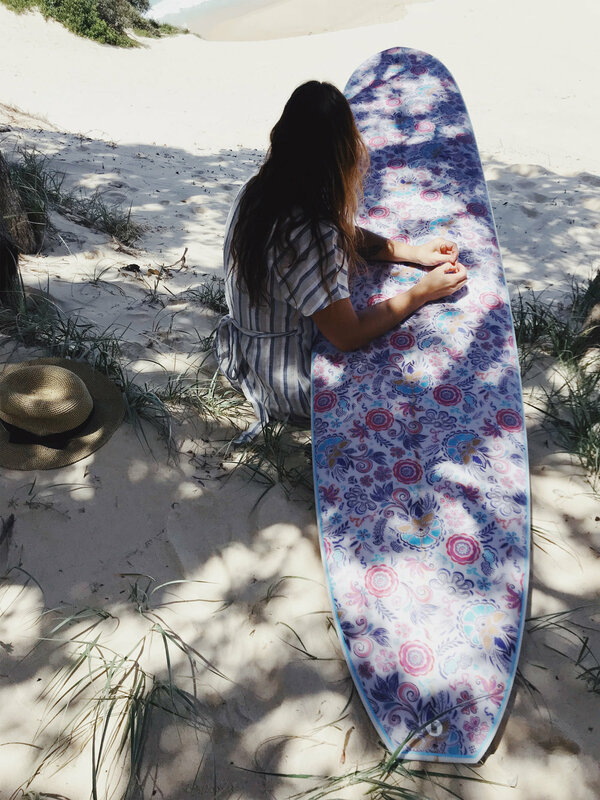 The crystal blue waters of One Mile Beach, NSW, was the perfect backdrop to surf and shoot a custom 8'6 Malibu, in one of our Palm Beach Collection designs. 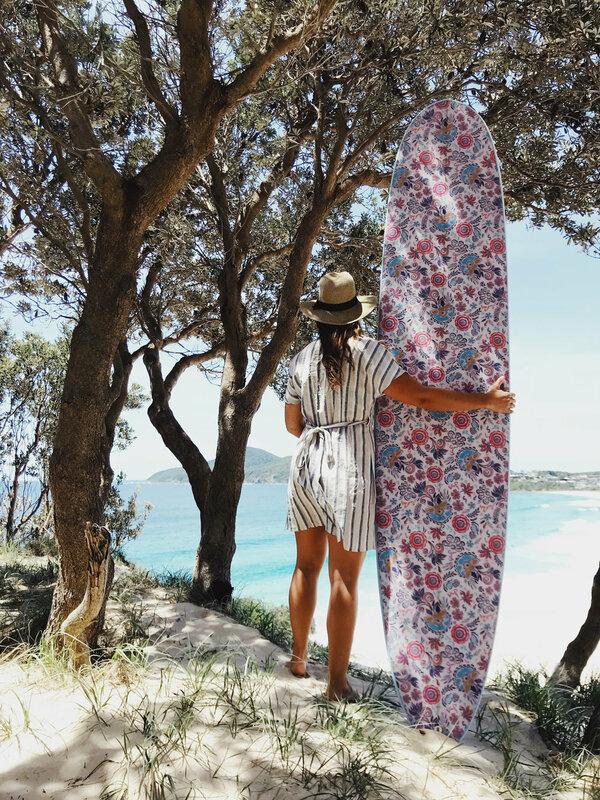 Inspired by 1930's Palm Beach Fashions and Interior Trends, this collection was designed whilst spending long hot Summer's days on the sand, trawling through Vintage Vogue editions. Equally at home on the walls as the water, this board will take you on a nostalgic journey to the Summer's of yesteryear, whilst modern colour combinations will keep you feeling fresh.